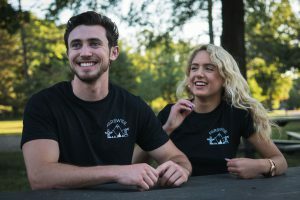 Waterloo graduates Aleks Poldma and Spencer Kelly have worked to make fashion philanthropic with their startup Hydrated World. The company sells an assortment of clothing and uses their profits to provide Africans with clean drinking water. 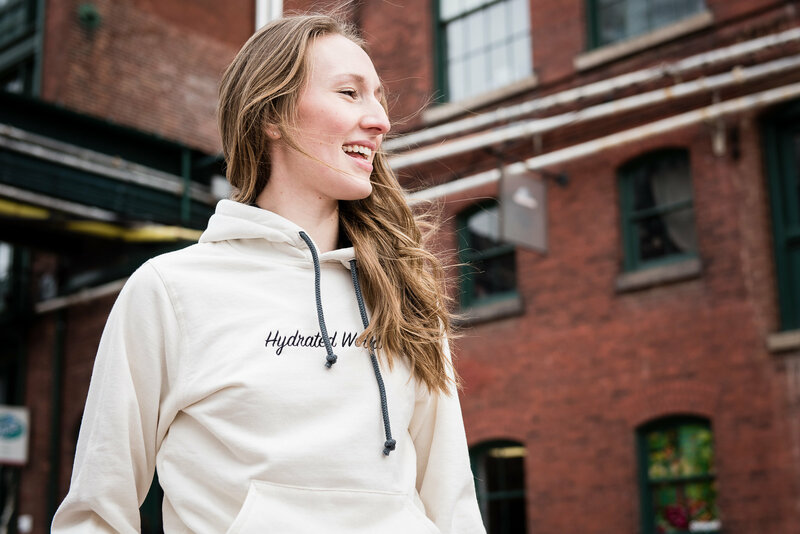 Hydrated World sells clothing made in Canada and works alongside the Safe Water Project, an organization based in Africa that trains people in making biosand filters and teaches business practices in order to make their filter companies sustainable. Hydrated World claims that with every purchase of one of their items, the customer is providing someone with 500 L of safe water for a year, for the next 25 years. 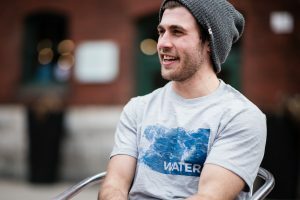 Hydrated World traces its origins to the University of Waterloo co-op program. In 2013, Poldma and Kelly decided to earn their final co-op credit by taking part in the enterprise co-op program, which allows students to gain a co-op credit while starting their own business. To date, Hydrated World has sponsored 100 filters, enough to provide for 1,000 people for the next 25 years. In addition, Kelly traveled to South Sudan to work hands-on with the training program. Kelly and Poldma also work as engineers for an Elmira branch of the Safe Water Project. Poldma reflected on the previous three years’ experience and the company’s growth. “Most of the time we’re pretty hard on ourselves, there’s lots to improve always and we started off knowing not much about business or fashion or anything like that. A lot of times we reflect on ‘what can we do better?’ But every once in a while we look back and talk about how many people have joined our movement, how many people have helped us out, how many people have supported the Safe Water Project, how many people now in Africa have Safe Water … looking back at the whole progression and the mistakes we’ve made and how far we’ve really come and how many people have helped us, that’s the best feeling for me, looking back,” Poldma said.